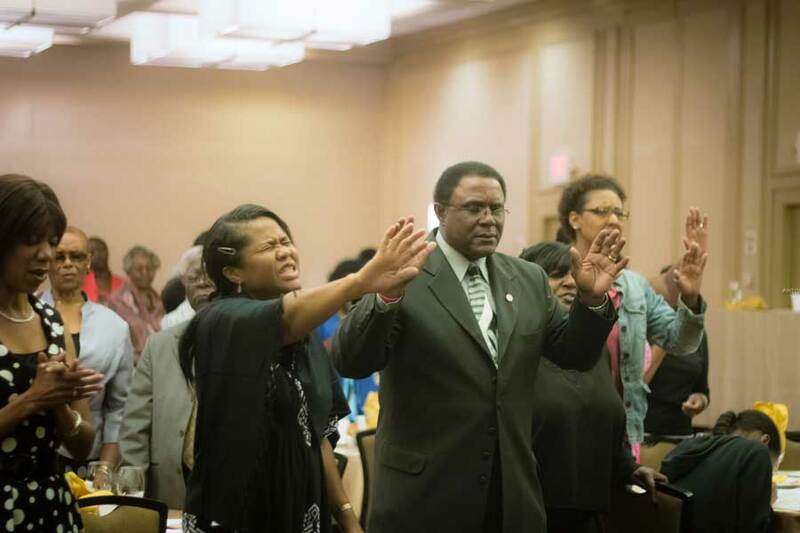 In support of this ministry objective, IPMI hosted the 6th Annual Pastors' and Leaders' Prayer Symposium and the 14th Annual School of Prayer that benefited pastors and congregations in the tri-state. During the year, IPMI also hosted the 17th Annual Prayer Breakfast, The 17th Annual 21 Days of Prayer and Fasting for Breakthrough in association with its Annual Prayer summit and the 9th Annual Jamaican Diaspora Day of Prayer and Fasting for Spiritual Renewal and Transformation in Jamaica. The 6th Annual Pastors’ and Leaders’ Prayer Symposium. Dr. Peter Scazzero, New York CityApproximately 50 pastors and leaders representing various congregations from across the tri-state attended the 6th Annual Pastors’ and Leaders’ Prayer Symposium that was held at the New York Hilton, JFK Airport on Friday, May 17, 2013 (9:00 AM - 12:30 PM). Keynote Speaker was Rev. Dr. Peter Scazzaro, Senior Pastor of New Life Fellowship Church in Queens, New York. For the first time, participants included representatives from the Asian and Latino congregations of New York City. (iv) Three applications to nurturing a growing spirituality in our own lives as leaders out of which we can lead our churches. 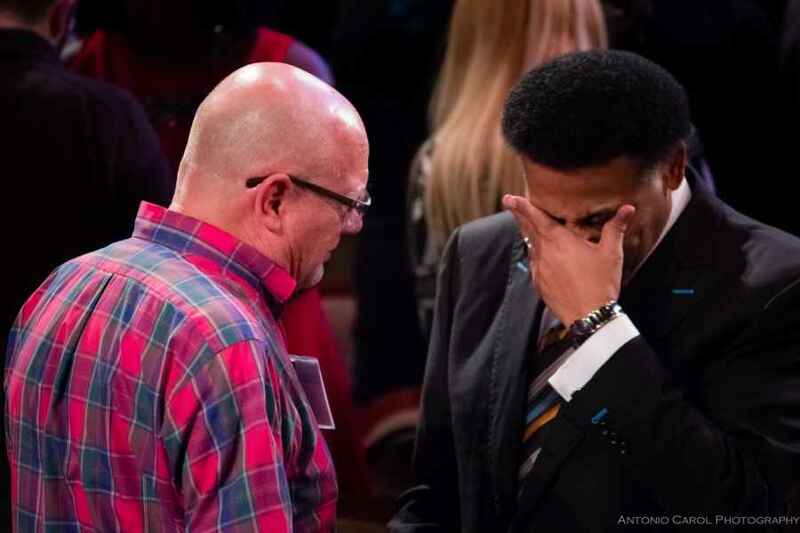 Based on the general feedback, the 6th Annual Pastors' and Leaders' Prayer Symposium, which was hosted free of cost, proved quite beneficial to the pastors and leaders and was deemed a huge success. 14th Annual School of Prayer. 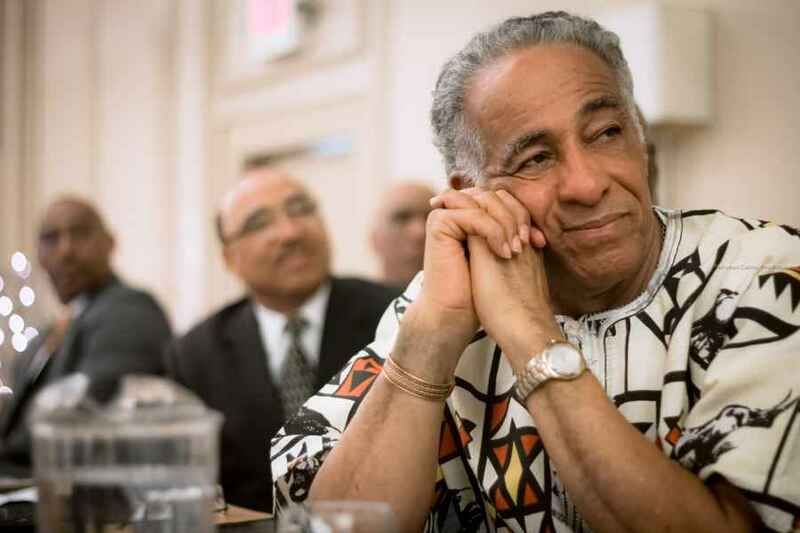 The 14th Annual School of Prayer (a three-part series, entitled Hearing and Discerning the Voice of God) was hosted by four congregations in New York City and New Jersey. Approximately 450 persons participated in each of the three sessions at all four locations. 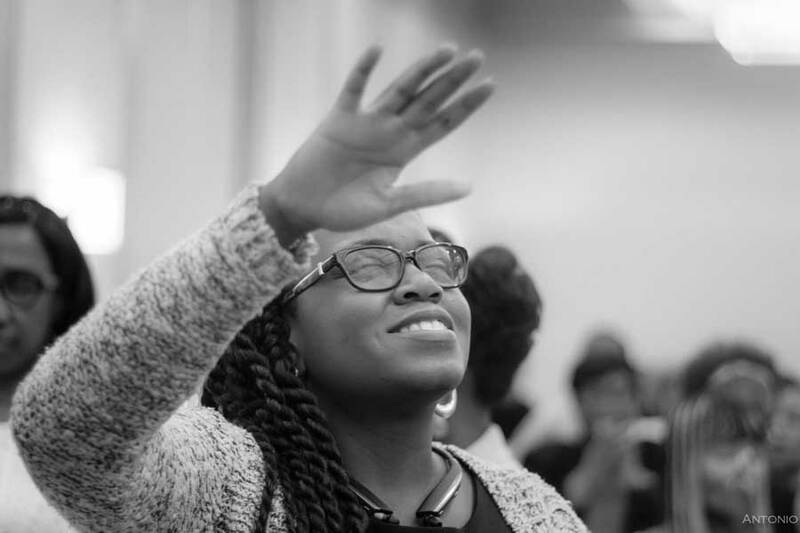 Through this unique program that combines biblical and theological principles with practical experiences from everyday life and ministry, IPMI continues to assist local churches to develop and strengthen their prayer ministries as part of its strategy of fostering prayer for revival here in the US North East. In this three-part series on hearing and discerning the voice of God in prayer, answers were provided to the two important questions: (I) Does God speak? (ii) How does one discern the voice of God in prayer? The series also provided vital steps to identifying and dealing with common pitfalls associated with personal revelations as well as the important applications of these principles to the personal life of the believer in the various contexts relating to private life, the church, ministry as well as prayer and spiritual warfare. Based on general feedback all four participating churches, the 14th Annual School of prayer proved quite beneficial to the personal prayer life of participants, as well as, the corporate prayer life of the congregations. Rev. 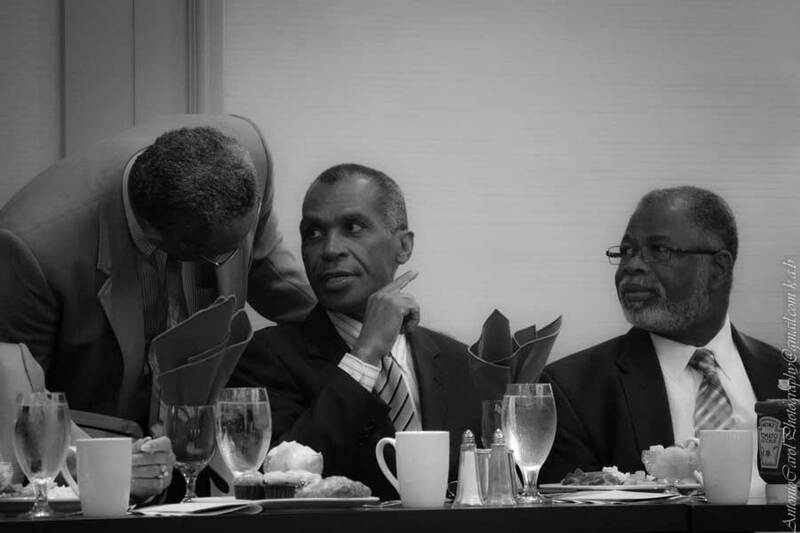 Newton Gabbidon & Former Consul General Herman LaMontApproximately 200 persons, including members of the clergy from a number of congregations in the tri-state, Florida, and Jamaica attended the 17th Annual Prayer Breakfast on July 27, 2013 (9:00 AM - 12:30 PM). 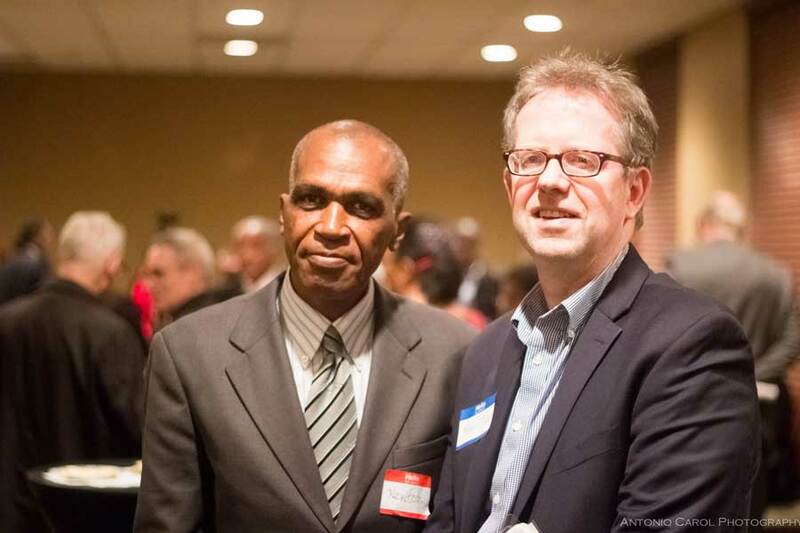 Among the special guests in attendance was the New York Consul General of Jamaica, Hon. Herman G. LaMont. Highlights of the event included, a featured presentation about Exposed, a global Campaign against corruption sponsored by Micah Challenge International in the United Kingdom as part of its global effort to tackle global poverty; a time of prayer led by members of the clergy, and the sermon by keynote speaker, Bishop Joseph Garlington that focused on the power of Intercessory prayer. The prayer agenda focused primarily on the following eight Millennium Development Goals that were adopted by 189 member nations in 1990 as part of their commitment to seeing poverty reduced in half within 15 years: (i) Eradicate extreme poverty and hunger; there are 1.4 billion people living on $1.25 per day; (ii) Achieve universal primary education by 2015; (iii) Eliminate gender inequality in education; (iv) Reduce Child Mortality by two-thirds; (v) Improve maternal health by reducing maternal martiality ratio by three-quarters; (vi) Combat malaria, HIV-Aids (vii) Ensure environmental sustainability; (viii) Developing a Global Partnership for development. These eight Millennium goals form the main thrust of the international campaigns of Micah Challenge International, including Exposed. It is the view of Micah Challenge that "Christians should stand up and engage in these issues as they affect our neighbor, brothers, and sisters around the globe;" and sees these global campaigns, as "a unique window of opportunity to change our world!" IPMI has partnered with Micah Challenge International in support of these global campaigns, since 2010, as part of its commitment to the poor and social justice. The focus of the time of prayer on these Millennium Development Goals, during the July 27 Annual Prayer Breakfast was in support of this partnership with Micah Challenge, which is led by Rev. Dr. Joel Edwards, an IPMI friend, and partner. The 17th Annual 21 Days of Prayer & Fasting and Annual Prayer Summit. Rev. Mary GlazierThe Annual 21 Days of Prayer and Fasting for Breakthrough combines the regular systematic reading of the Scriptures with a set prayer agenda focusing on the specific needs of participants, their families, local churches, communities, nations and the world. Since its inception in 1997, both individuals and congregations, locally and internationally, have participated annually in this program; based on the testimonies that some of these persons and groups have shared with us, the program has been highly successful. The Annual Prayer Summit, on the other hand, provides participants with the opportunity to participate in structured teaching sessions and times of united prayer, focusing on global concerns. Since 2012, IPMI has combined these two events resulting in a certain level of synergy that is expected to positively impact future levels of attendance and participation, particularly at the Annual Prayer Summit. 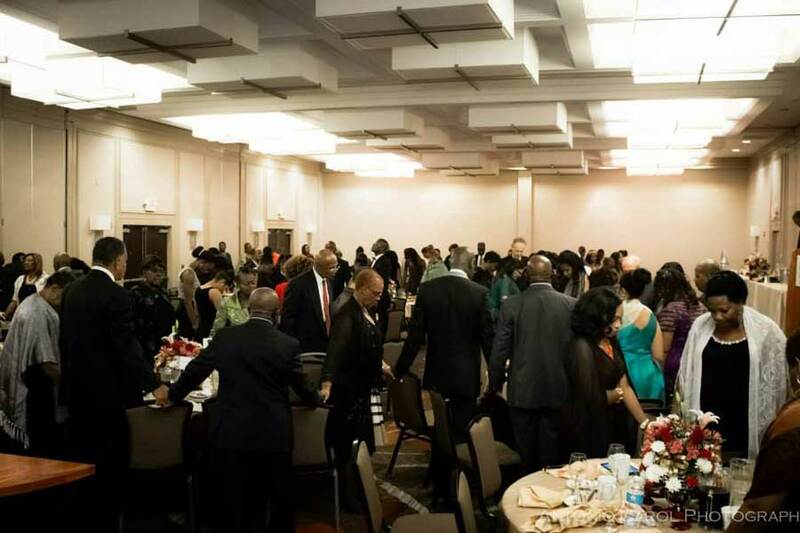 While the level of attendance at the October 19, 2013 (9:00 AM - 5:00 PM) Global Prayer Summit, at the New York Hilton JFK Airport, which coincided with the culmination of the 17th Annual 21 Days of Prayer and Fasting, was much lower than the 150 persons we anticipated attending this event, the conference proved highly successful based on overall feedback. Speakers included Rev Newton Gabbidon, IPMI's President and Rev. Mary Glazier, President of Windwalkers International, in Alaska. 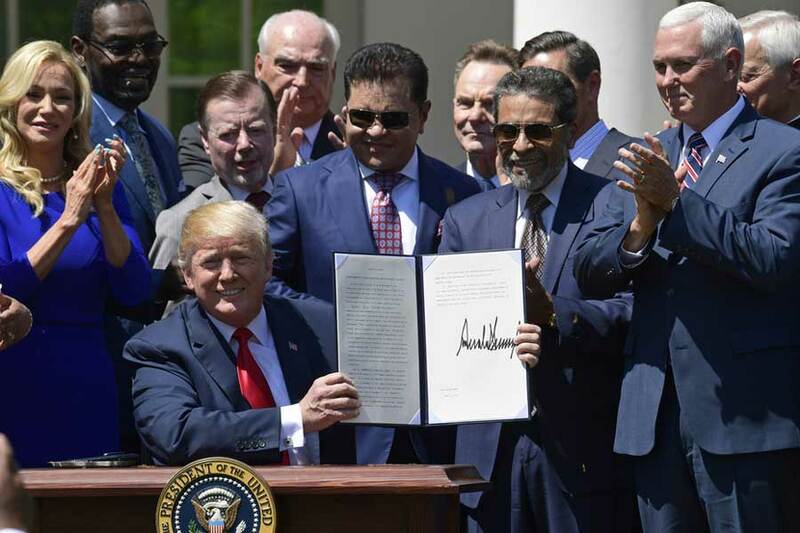 Participants in the summit came largely from the US, in contrast to the 21 Days of Prayer and Fasting, which had participants from around the world. 9th Annual Jamaican Diaspora Day of Prayer and Fasting (JDOP). Former Consul General, Hon Geneive Brown Metzger with members of the clergy participating in the 9th Annual JDOP event Bronx Bethany Church of the Nazarene. The hosting of JDOP is facilitated each year through IPMI working in close collaboration with various members of the clergy and Jamaica’s Overseas Missions in the United Kingdom, Canada, and the United States. For August 1, 2013, 9th Annual JDOP, which received the official endorsement of the Governor General, Prime Minister and Leader of the Opposition, several thousand Christians of Jamaican heritage in these regions were mobilized through a special promotional campaign to support the event. About 2500 of these persons representing approximately 80 congregations attended the special culminating prayer service for the spiritual renewal and transformation of Jamaica. Also in attendance at the services were representatives from the various Overseas Missions in the respective regions. The prayer agenda focused on the following areas of major concern to the nation of Jamaica: (i) Politics and Governance (ii) Community Renewal - inner-city and rural initiatives toward economic, social and educational upliftment of the disadvantaged, the oppressed and marginalized; (iii) Parenting and Children Advocacy issues (iv) Education and Student issues: (v) Security, Justice and Policing issues (vi) Continued evangelistic fervor, renewal of the Church and community engagement; (vii) Promoting standards, values and attitudes holding the nation accountable to biblical morals and ethics. An offering was collected during the prayer service for two designated Jamaican charities that serve at-risk teenagers, primarily from Jamaica’s inner cities. Through the hosting of regular interdenominational times of prayer for revival. During the year, the ministry offered opportunities to persons to join together to pray for revival locally and internationally through the Monthly First Thursday Global Prayer Teleconference and Monthly 4th Saturday Prayer Meeting. Rev. Esther IlniskyNow in its fourth season, the Monthly 1st Thursday (9 PM – 10 PM) Global Prayer Teleconference has continued to facilitate Christians from around the world coming together to pray for the nations of the world. During 2013, the agenda focused on a revival in the US and Europe, critical issues facing the Middle East, Africa and Asia, including the persecuted church. Since its inception, the program has been facilitated by a team of pastors and leaders from across the US and the Caribbean, led by Esther Ilnisky, President of the Esther Global Prayer Network and the Children Prayer Network, that coordinates the time of prayer. 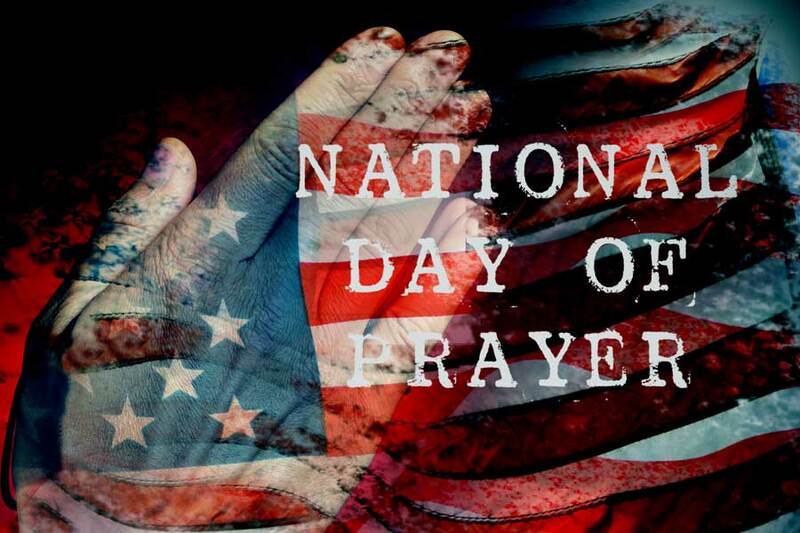 From its inception in 1997, the Monthly ( 5:00 PM - 8:30 PM EST) 4th Saturday Prayer Meeting has had as its primary objective, intercession for the nations of the world, including the United States of America. During 2013, this objective proved even more relevant and became the dominant theme of these meetings, in light of the deepening moral crisis here in the United States of America and Europe, among the many huge challenges facing the nations of the world.These major concerns formed the basis of the monthly agenda that served as a guide for these meetings attended by the small group of intercessors primarily from New York City and Long Island. During the year, we also encountered some wonderful experiences of God's presence in prayer, not generally encountered in other IPMI meetings or events. Probably, these unique experiences in the presence of God are precursors to the great spiritual awakening that awaits the nations as we continue to seek God fervently in prayer. Through the provision of free online prayer resources. Over the past few years, as a result of your financial support, IPMI has invested in the development of a new state of the art website to better serve you, our partners, and to also facilitate the global expansion of IPMI through the Internet. During 2013, this new website was launched, providing users with access to a number of free online prayer resources at www.goipmi.org. These free online prayer resources include a daily devotional, a monthly global prayer agenda, articles and blogs on prayer and other related issues. Other online resources that are expected to be available through the website in 2014 will include, free audio and video sermon messages. Through offering regular prayer support to our friends, partners and those in need from around the world. During the year, IPMI's weekly prayer support ministry teams met to pray regularly for you, our partners and friends, as well as, the numerous prayer requests that IPMI received from around the world. Because of your financial contributions, IPMI was able to conduct these various ministry activities during 2013 in support of the organization's mission of impacting lives and transforming nations through prayer. The spiritual impact of these programs on the lives of those individuals, churches and other organizations that were engaged with IPMI, during the year, in some way proved mutually beneficial. Most importantly, of course, is the impact that the prayers that resulted from the hosting of these programs have had on nations around the world whose crises and challenges made them the focus of much international attention during the year. Thanks for helping IPMI make a difference to the nations of the world through prayer. May the Lord bless you.